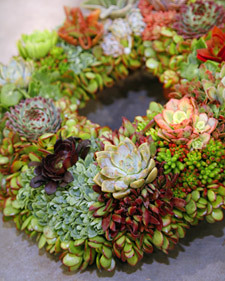 Succelent Wreaths have been in my head for a long time! would be a great idea for brides,an eco friendly concept?? ?as a centerpiece?